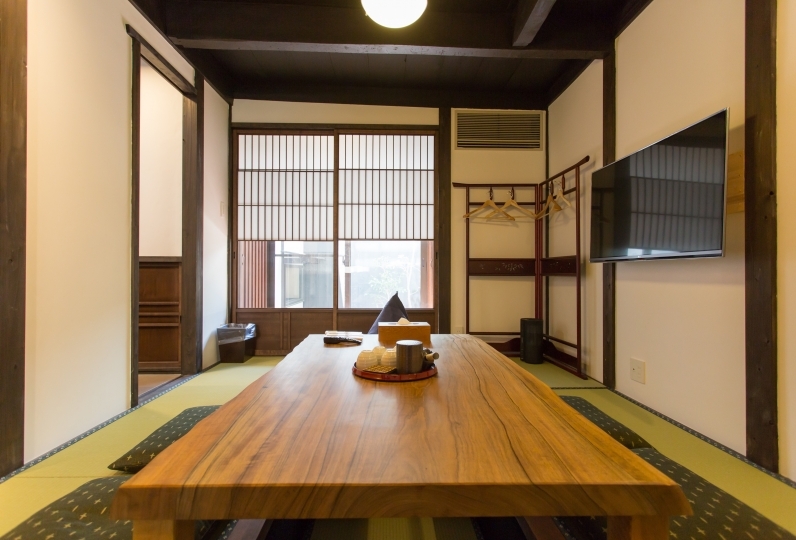 A lodging where guests can enjoy the different seasonal scenery of Kyoto, from cherry blossoms in the spring and the greens of the summer, to autumn foliage in the fall and snowy landscape in winter. The ground floor is fitted with bedrooms and a toilet. Up the stairs you'll find the living and dining area. The view from the sofa in the living room is like a picture. 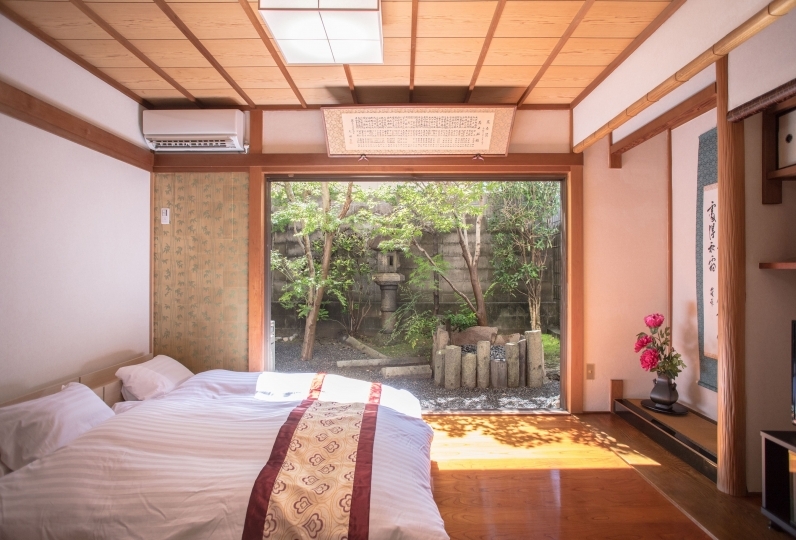 With the window framing the view of the mountains and Kamo River, it is as if you are looking at a framed landscape drawing. Gaze at the birds flying across the sky as you relax. The closest station is Kiyomizu-Gojo Station on the Keihan Main Line. Take the Keihan Railway to Demachiyanagi Station and transfer to Eizan Railway to get to Kibune, Kurama, and other parts of Kyoto. 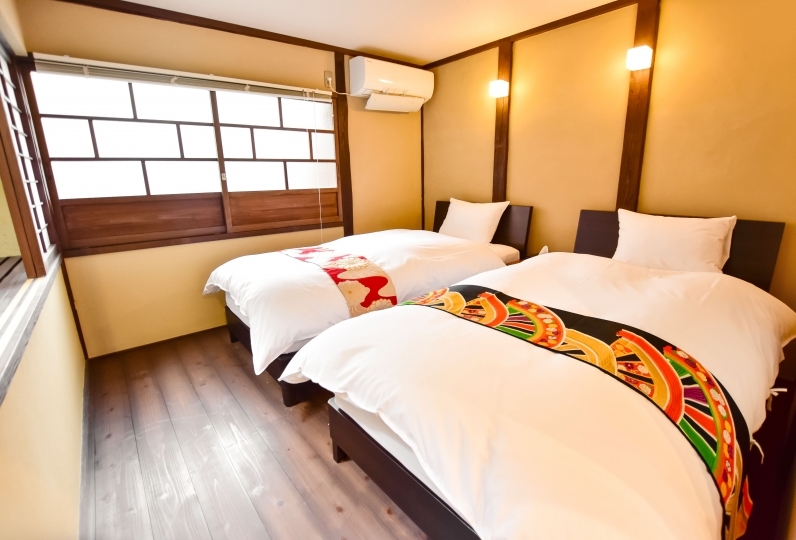 Keihan Railway is also convenient for getting to Tofukuji and Fushimi Inari Taisha, while Kiyomizu-dera Temple, Sanjusangendo, Kiyamachi, and Gion area are within 15 - 20 minute walk. 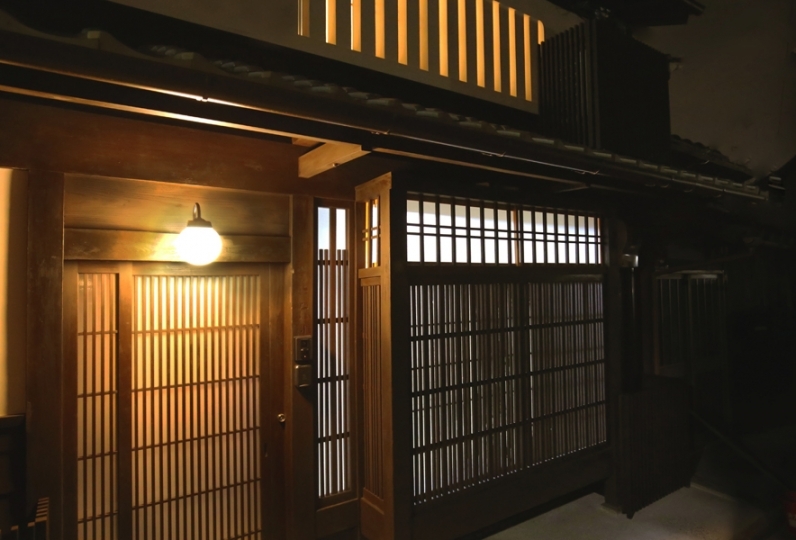 Guests can take part in a koto (traditional Japanese stringed instrument) workshop for free. It's possible to just get a photo with the instrument, too. Inform the staff when checking in. 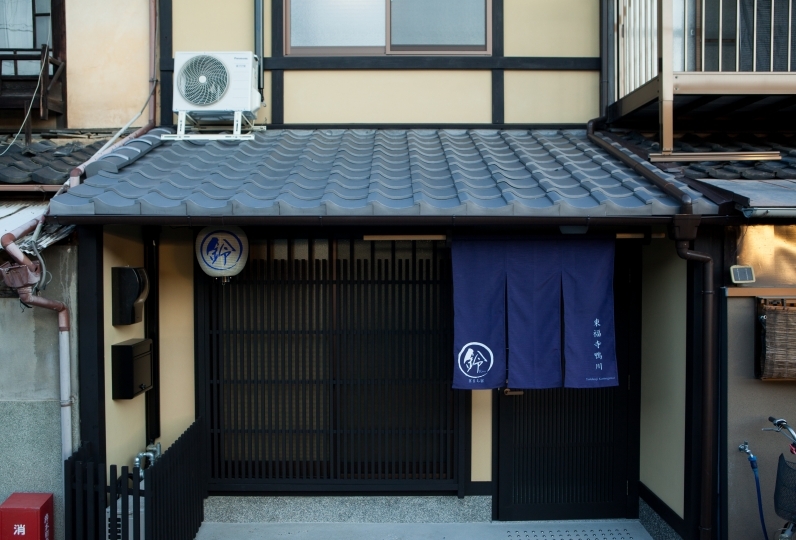 You can expect to walk a lot when you're sightseeing around Kyoto. Why not enjoy a hot pot for dinner at the lodging? There is a hot pot delivery service (additional charge applies, not available on Sunday and public holidays). It is brought to you in collaboration with Kinko, a seafood shop that has been in business since the Meiji period. From November to end of February, guests can enjoy a set that includes tofu hot pot and Kyoto-style dishes, or a fugu hot pot, and more. The unbeatable price and volume is possible because it is provided by a seafood shop. 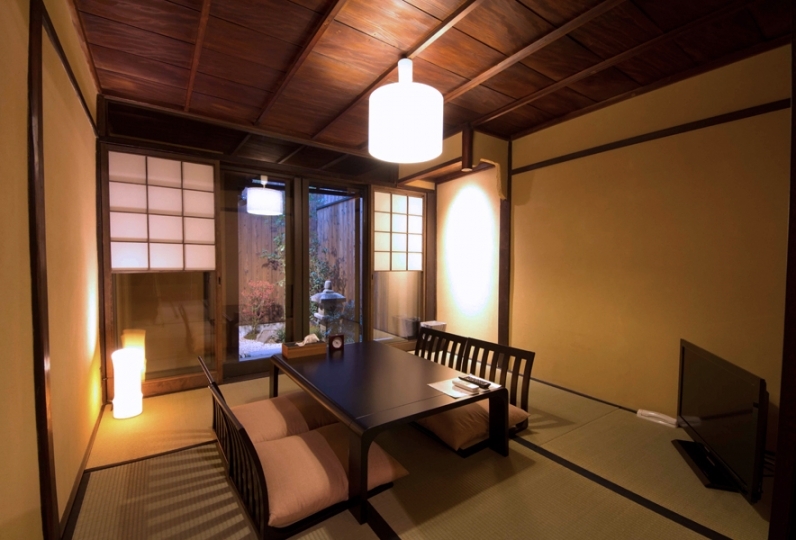 Furthermore, there is a set that includes Kyoto-style dishes as well as sushi sets. The house is clean, tidy and comfortable. The view is terrific, and you would enjoy watching the wonderful scene for the... Read more The house is clean, tidy and comfortable. The view is terrific, and you would enjoy watching the wonderful scene for the whole day. The host is nice and kind. Thanks for your hospitality and your superb recommendation of a nice restaurant nearby. We really enjoy our stay in the house. 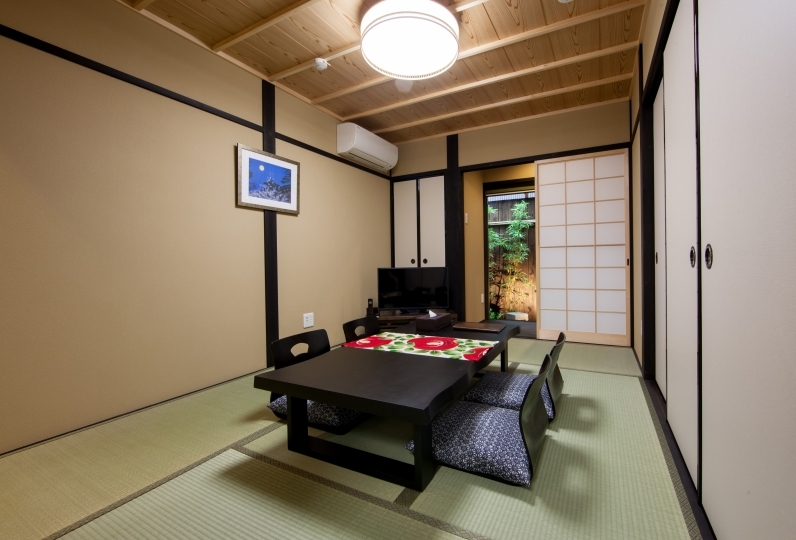 The house is clean, tidy and comfortable. The view is terrific, and you would enjoy watching the wonderful scene for the whole day. The host is nice and kind. Thanks for your hospitality and your superb recommendation of a nice restaurant nearby. We really enjoy our stay in the house. Thank you for providing us with a wonderful stay this time. Since it was from 12/31 to 1/2, I cooked almost self-cooking. At that time, it was saved because the staff brought it, but since the rice cooker was not being prepared, there is a kitchen at all, so I think that it is okay to put in a rice cooker as well as a rental type It was. 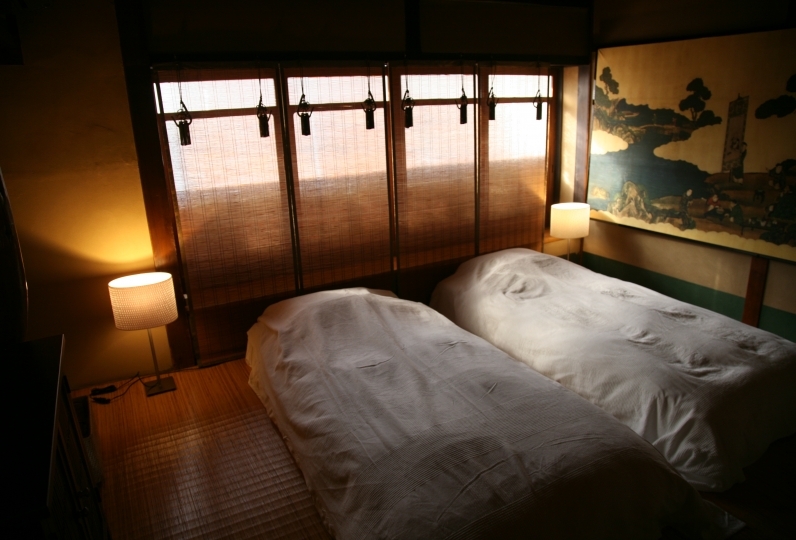 Also, it is cold in winter Kyoto, the inside of the inn is firmly warm with air conditioning for floor heating, but drying is quite dry. I was happy that there was a humidifier on the first floor and the second floor respectively. Amenity in the bathroom, I usually brought myself when staying at any other inn, but it was a Rubell shampoo and conditioner I used to patronize so I was relieved and able to use it. 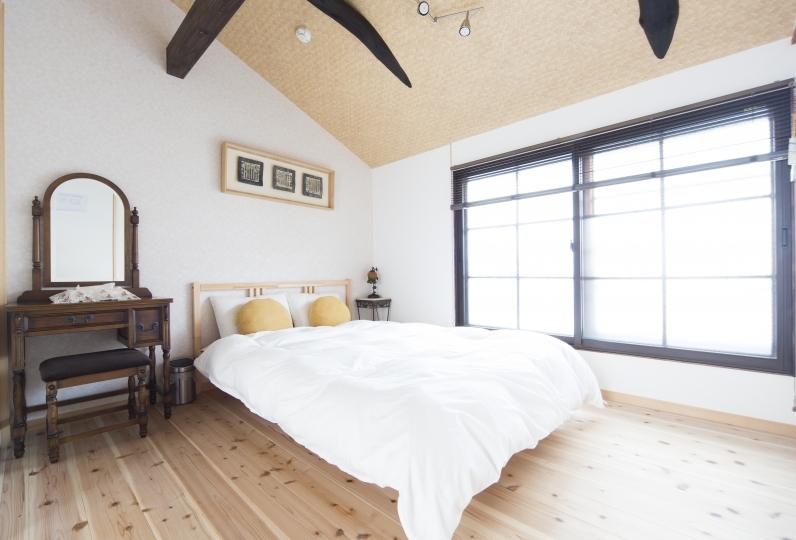 Although I stayed in the first house type for the first time, this hotel is really clean and it has a beautiful scenery and it is recommended for those who want to spend relaxing time. Thank you. The location where Kamogawa is in front of me and the station of Keihan is very close was decided and I was indebted to Mr. Shirasagi. The view from the second floor was more than I thought, I spent relaxingly watching Kamogawa in front of me and Kiyomizudera lighted up in the evening. Because Shimizu Gojo station is very near, sightseeing was very convenient. Cleaning also reached every corner, amenity was abundant, I was able to spend a pleasant feeling from the various things prepared, feeling of concern to the guests. One disappointment was that Mr. Konoyuki was on a Bon festival and was unable to eat pot pots. Next time I will go in the cool period of spring or autumn, I will take a walk to Kiyomizu Temple and Yasaka Shrine, and next time I also want to eat hot pot. Thank you very much for your guidance on the koto. In addition, thank you. Bedroom, toilet and bath located on the ground floor. 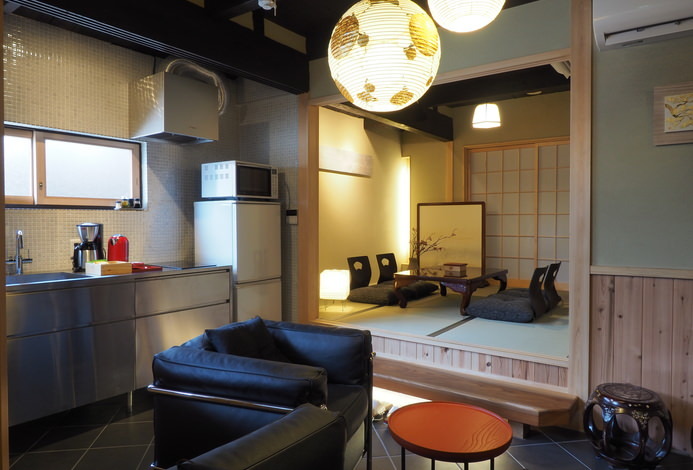 There is under-floor heating on the ground floor, allowing for a comfortable stay even in the cold Kyoto winter. Please inform the lodging of your planned check-in time by the previous day at the latest. 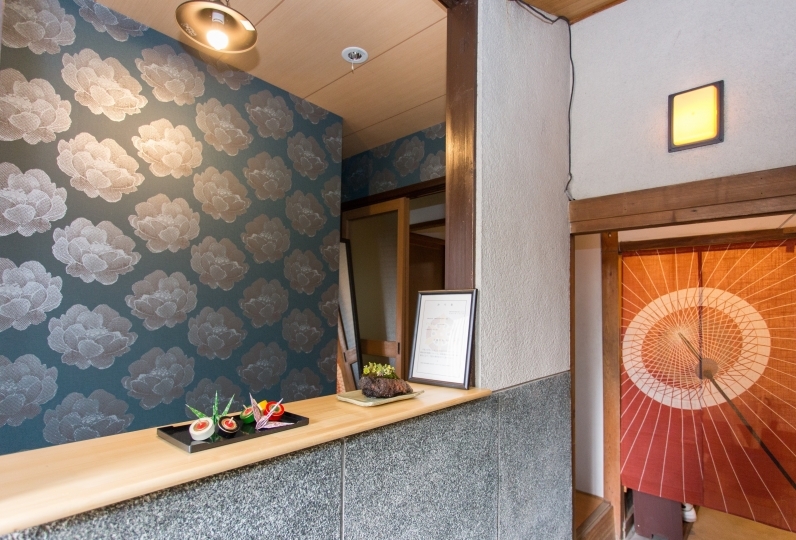 Guests can check-in at Shirasagi. A member of staff will meet the guests there. There is no smoking permitted in the premises. 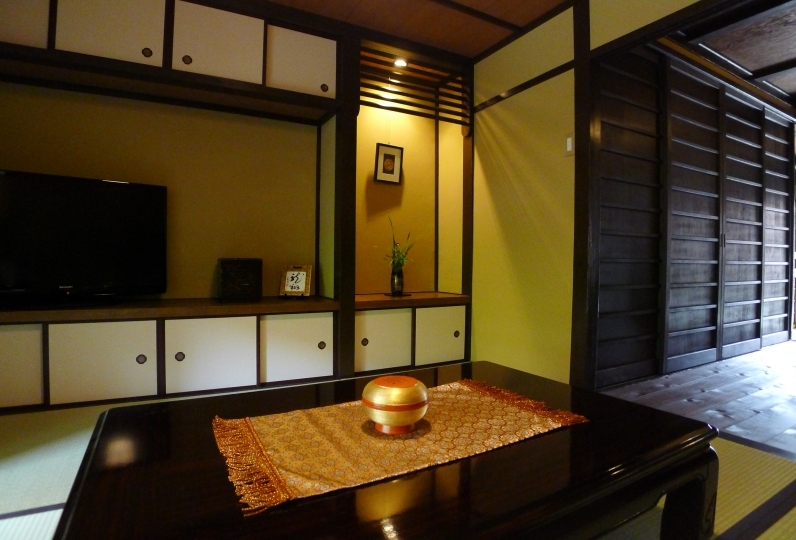 Use Gojo Ohashi (Great Bridge) south west corner as a landmark when making your way to the lodging. Take a left right after a cafe called efish. You will come out by Kamo River. Shirasaki is the 14th building along the river.